We believe in buying locally, supporting local organizations, and devoting ourselves to every guest. Our goal each day is to provide you with the Ultimate Milano's Experience through quality food, great service, and a cozy atmosphere. Get the Rockbot app and request the music at Milano's Pizza - Subs - Taps! 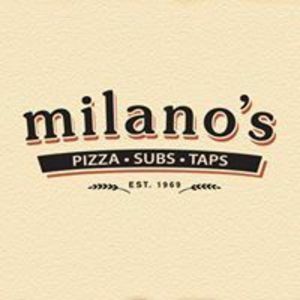 Are you a franchisee of Milano's Pizza - Subs - Taps?